Your crumpled pack of Swiss Miss from the office kitchen, this is not. 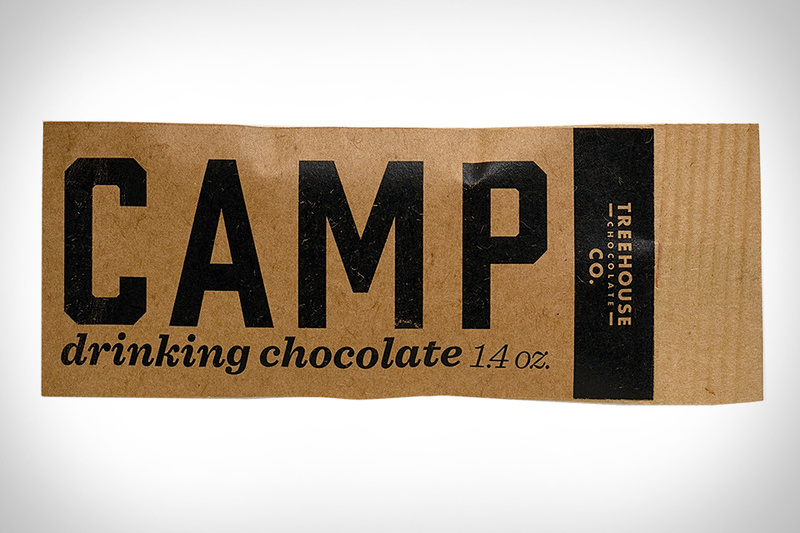 Founded by a former cacao farmer, Treehouse Drinking Chocolate aims to do justice to the craft and spirit of the plant. It's available in four flavors: Original, Camp (which blends the chocolate with organic coffee), Cherrywood (which mixes in cherrywood-smoked Oregon sea salt), and Nectar (sweetened with coconut nectar and a bit of organic coconut milk for good measure). No matter the variety you choose, you'll be getting a drink that's 72% cacao and crafted in small batches using cacao sourced from a farmer-owned coop in Northern Peru. And no, they don't have a variety with the mini marshmallows mixed in — you'll have to add those on your own. Homemade country wine, herbs, spices, and moonshine. It might sound like some sort of redneck death punch, but in fact, it's really tasty — as the original red Spodee showed us. Now White Mule Farms is back with Spodee White, a lighter, more tropical version of this 36-proof hooch. In addition to the wine and moonshine, this unique drink is made with pineapple and toasted coconut, giving it a fruity flavor that's great with a fizzy mixer like ginger ale, in a Tiki cocktail, or just served chilled over ice. The Mojito, the Whiskey Sour, the Sazerac, and the Mint Julep all have something in common — and no we're not talking about the booze, though they certainly have that — we're talking about simple syrup. It's that critical ingredient that pervades so many great cocktail recipes, and its ingredients are simple as the name suggests: just water and sugar. With the Simple Syrup Kit, you can make this crucial ingredient at home, instead of wasting your time and money buying it from the store. This kit makes it dead simple to make simple syrup, with measurements indicated on the bottle, a convenient funnel, and an innovative pour spout and cap that won't gum up or over sweeten your drink. When it comes to classic cocktails, there aren't many as popular and tasty as the Old Fashioned. But it can be pretty difficult to replicate the perfectly mixed version of the drink you get at your favorite bar. Mr Lyan's Bonfire Old Fashioned is trying to change that, by taking the famous recipe and bottling it for you to enjoy at home. A pioneer with bottled cocktails in London, Lyan uses their whiskey, some cola bitters, and a rare black tea called lapsang souchong, which adds a smoky bonfire to the cocktail. Just chill the bottle, pour, and enjoy at home without the help of a trained mixologist. Whether you're looking for the perfect addition to your morning coffee, or you just want to take your ordinary cocktail or fruit sorbet to the next level, you owe it to yourself to try One Night Stand Potion. Crafted from 100 años tequila, agave, mixed-origin South American chocolate, and Valrohna cocoa powder, this stuff is far from your ordinary chocolate sauce. Available in either four or 16-ounce bottles, and completely dairy free, this sauce is perfectly at home sitting on your bar, just waiting to upgrade your standard beverage with some chocolatey, boozy deliciousness. If you've kept abreast of cannabis culture lately, you know well that smoking isn't the only way to catch a buzz — there's a whole array of edibles, extracts, and drinkables out that are just as effective (if not more so). With Mirth Legal Beverages, you get all the benefits in the form of several tasty drinks. Choose from cold brew coffee, cold brew with milk and sugar, sparkling cherry, sparkling lemon ginger, and sparkling pomegranate — all infused with a Washington-grown cannabis extract. They promise a powerful body buzz, uplifting euphoria, and head highs that will get you through the day. And while it might not be legal yet in your state, it may just be the best reason to take a trip Northeast. Give dull Bloody Marys the boot and start fixing yours with Little Devil Bloody Spice. Hand-made in small batches, this delicious mix combines with vodka and chilled tomato juice to make nearly perfect drinks, adding heat, spice, citrus, seasoning and umami. Like many Bloody Mary mixes, it includes Lea & Perrins Worcestershire Sauce, Original Louisiana Hot Sauce, lime, lemons, celery salt, and black pepper, but adds a hint of Japanese wasabi, as well as a few other secret ingredients. The result? Ideally spicy, incredibly flavorful drinks with little to no work on your part.